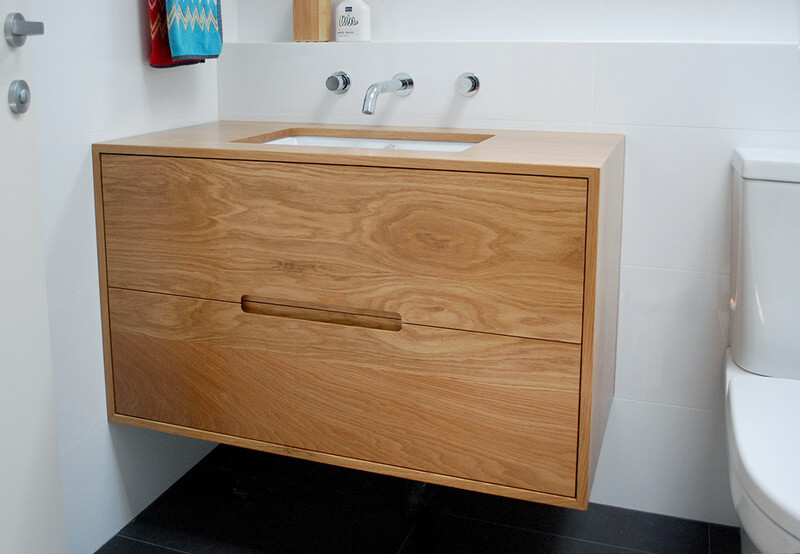 A floating Bathroom Vanity in American Oak was designed to make the most out of this small bathroom. 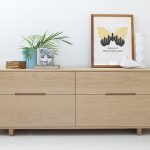 Featuring two deep, soft close drawers for spacious and practical storage. 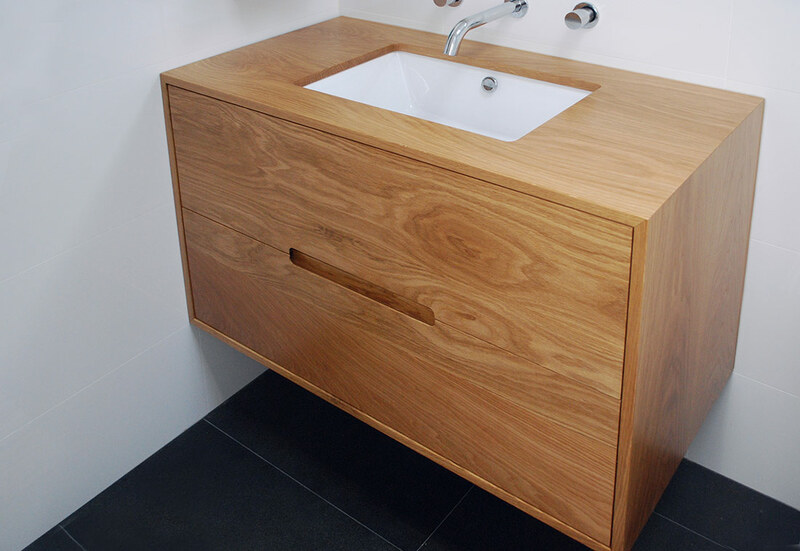 An undermount sink maximises valuable bench space and our signature ‘Shizu Handle’ adds extra refinement. 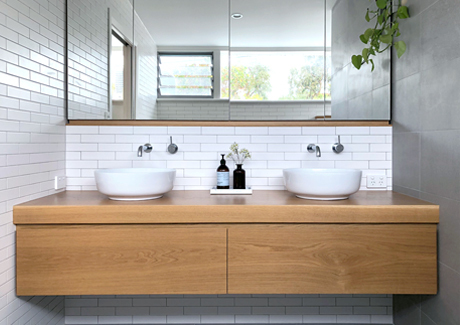 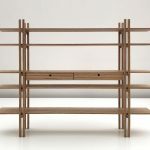 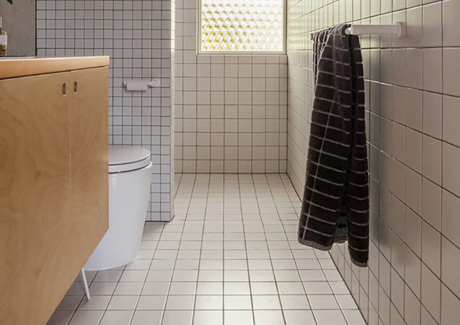 The mirror cabinet is set to seamlessly blend with the tiles and add extra storage. 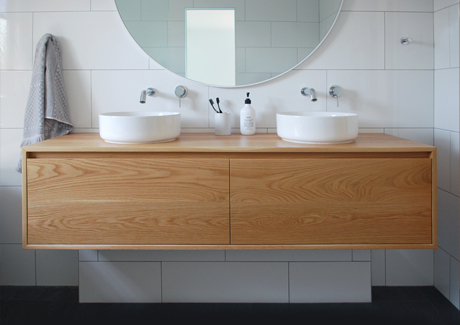 Matching custom Towel Rails in American Oak.